By using pure, high quality mink urine near a trap, you can increase your chances of trapping minks and other smaller animals successfully. But mink urine will do you no good if it freezes in the wintertime. 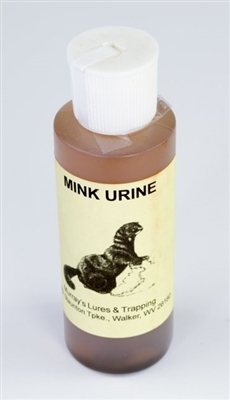 Fortunately, you can prevent freezing from taking place with Murray’s Mink Urine with Antifreeze from Murray’s Lures & Trapping Supplies. It comes with liquid antifreeze mixed in so that your mink urine will be freeze proofed at all times when you use it.